Fine spider details - what a neat perch! Nice! good details and sharpness on the spider. 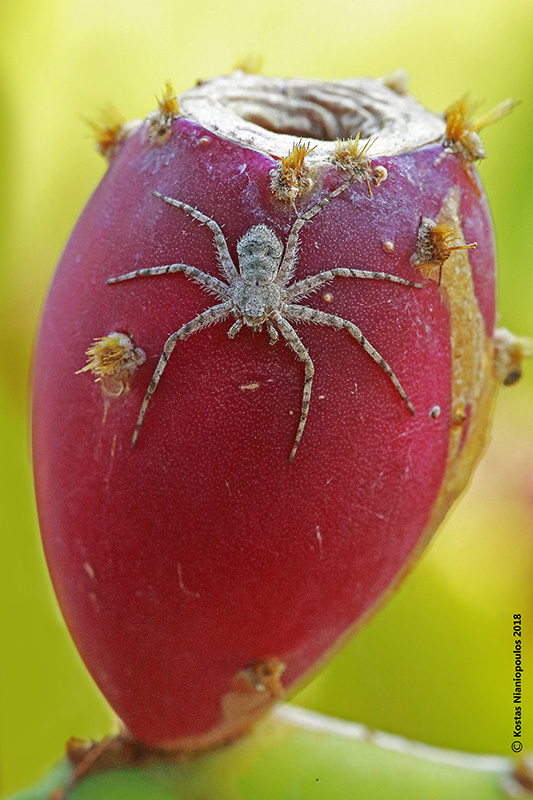 Cactus fruit serves as an interesting perch and adds color to the image.